There’s a long history behind “Unchained Melody” by Vito and The Salutations, who had a doo wop version of a golden oldies favorite. Well, “Unchained Melody” was written by film composer Alex North (music) and Tin Pan Alley songwriter Hy Zaret (lyrics) in 1955 for a prison film titled Unchained. Todd Duncan, a baritone opera singer and actor, sang the song for the film soundtrack. The movie was not that successful, but the song was nominated for an Academy Award for Best Music, Original Song. It has been covered hundreds of times. 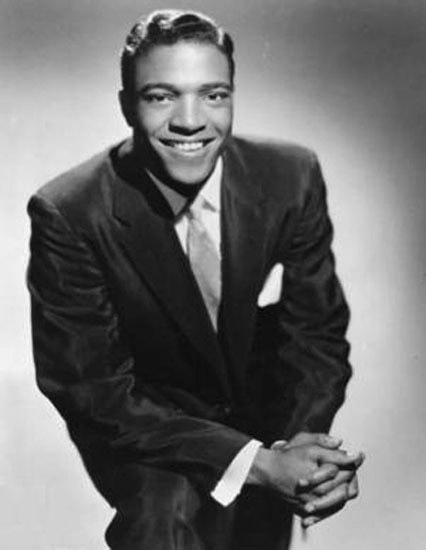 Les Baxter had an instrumental version that went to #1 on the R&B Chart, as did Roy Hamilton’s version. Jimmy Young had a #1 hit with the song in the U.K. Even Liberace got into the act. Al Hibbler’s cover went to #3 on the Billboard Chart. The Righteous Brothers had a hit with it in 1965, going to #4 and making it a jukebox standard and a hit again from it being featured in the movie Ghost. And then there was the up-tempo doo wop version in 1963 by Vito & The Salutations, who changrf things around a little. They tripled the tempo and gave it a full doo wop treatment. It went to #66 on the Cash Box hit parade and was in the top ten in a number of cities. Their version was included in the 1990 film Goodfellas. Vito and The Salutations formed in Brooklyn, New York, and consisted of Vito Balsamo, Randy Silverman, Shelly Buchansky, Lenny Citrin, and Frankie Fox. Their name, the story goes, came from New York DJ “Jocko” Henderson, who would open broadcasts with “Greetings and Salutations.” They were discovered by singer Linda Scott who heard them singing in the subway (in New York doo wop fashion). 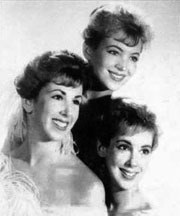 The group is also known for their cover of “Gloria” by The Cadillacs and more songs that were regional hits. Please click here if you are interested in reading about and listening to the version of “Unchained Melody” by The Righteous Brothers. The Daily Doo Wop Rec Room has daily featured doo wop, rock and roll, R&B, or rockabilly songs that were hits during the first era of rock and roll (that is, from about 1952 until the British invasion in 1964). After a song is featured, it then goes into the juke box. You are welcome to listen to any of the 60+ selections there. Every Saturday night starting at 5:00pm Eastern Time, there is a Golden Oldies Juke Box Saturday Night, where the juke box has 50 of people’s requests of songs from the 1950s and 1960s.